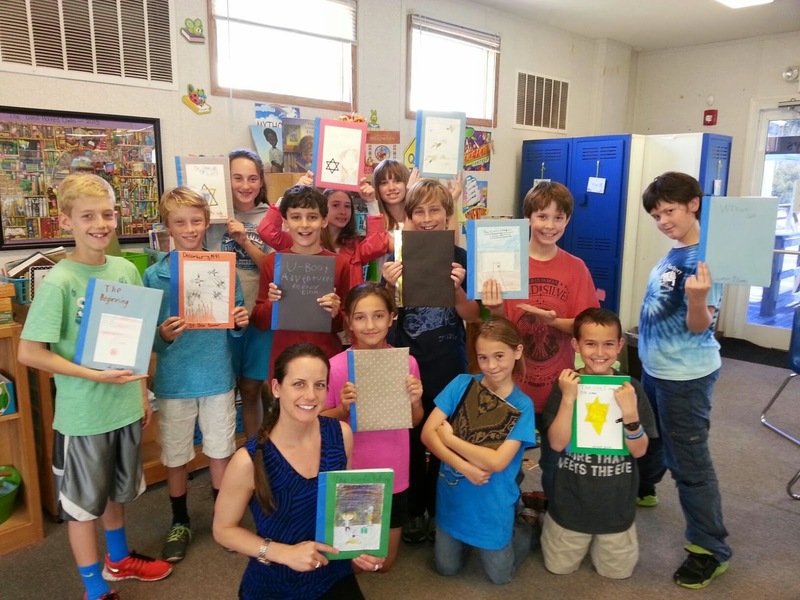 In 5th Grade with Teacher Julia: Publishing Hardcover Books with 5th Graders! I love this part of the third unit (Civil Rights)! Throughout it, I've been teaching about WWII and segregation. While teaching WWII, I focused mostly on Japanese Americans on our west coast and their horrible and unfair treatment during that time. It relates very much to how African Americans were treated during the times of segregation. As part of their demonstration of understanding, students were assigned to write historical fiction picture books. We studied the elements and characteristics of MANY historical fiction picture books; mostly discussing and identifying the fictional elements and the historical facts. Students became very familiar with this structure of writing in order to be prepared to write their own book! The only restriction I put on them was that they needed to choose between the two time periods: Segregation and WWII. This year, every student chose WWII! To celebrate all of their hard work (it took them over a month to complete! ), I ordered chipboard and turned their stories into real hardcover books! We are sharing their stories with the fourth graders and the sixth graders! I am so proud of them!! It was amazing to see how accurate and precise they were with facts and fictional elements. They worked together to discuss ideas and fact-checked each other's work. This feels like one of the most successful writing units I've had! I am so proud of them! Students chose to either bring in fabric or use construction paper to cover the chipboard. I used painter's tape for the bind.